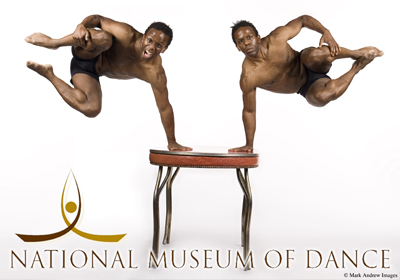 Sean McLeod is an award winning Businessman, Executive Producer, Artistic Ambassador, and American Choreographer whose work spans more than 20 years and three continents. Sean is Founder and President of Reaching for Higher Ground Consulting - a Communication, Performance, and Development Company. He is an Conference Designer, Executive Life Coach, Mediation Expert, and Motivational Speaker that uses the arts to teach Personality Development and Emotional Development for Corporations and Executives. He teaches Life Skills to Teens, Parental communication skills to adults, and does Family Development intervention for public schools. Mr. McLeod is President of the New York Institute of Dance & Education and the winner of countless awards including the coveted Jefferson Award for Public Service to America founded by the late Jacqueline Kennedy Onassis, the New York State Liberty Award- the State's Highest honor, the NAACP Millennium Award, and the American Red Cross "Great American Heroes" Award. He works in New York City as well as in major cities across the US, and internationally to the West Indies, the Caribbean, Europe, and Africa. 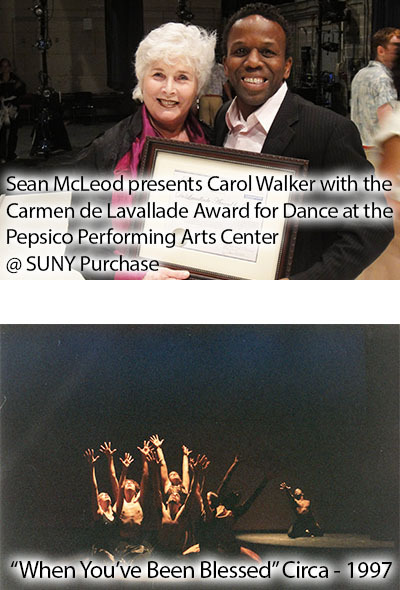 Mr. McLeod attended the Conservatory of Dance at the State University of New York at Purchase and has established himself as successful Consultant and Executive Corporate Advisor. An expert creator, strategist, and wordsmith, he assists CEO's and their teams connect their products with greater audience understanding and appeal. In his role at NYIDE, Mr. McLeod has awarded more than 300 thousand dollars to emerging artists, and helped jump-start many new dance careers by presenting scholarships and choreographic residencies to the New York Dance Festival and the New York Institute of Dance and Education. He has provided master classes, taught, or lectured about business and the arts for several colleges and universities including Wells College, Syracuse University, Rochester Institute of Technology, Howard University, Purchase College, Adelphi University and more. He attempts to prove that you can be anything you want, provided you prepare yourself, share immensely, and help others be significant too. As a Choreographer Sean has had countless commissions from Universities to the Federal Government. At the beginning of his career Sean McLeod used choreography and dance to present experiences that challenged the way minorities and people of color are seen in contemporary society. 25 years later Sean additionally uses movement to help women and girls around the globe to find their self value in life and survive well in dance. Sean McLeod is an altruistic “believer in people,” whose purpose is moving people to tangible action, personal responsibility and aiding those in social conflict. To meet this need, Sean McLeod founded the New York Institute of Dance and Education; Kaleidoscope Dance Theatre (KDT); the New York Dance Festival; the New York Center for Health and Healing; the Fine Arts Dance Association (FADA); the Educational Tour on Self-esteem through Dance; Community of Color World Culture Celebration; Circles-Expanding Horizons Program; Mission to South Africa; Reaching for Higher Ground Consulting, Change International, "Moving Past Racism" City Healing Series, the Carmen De La Vallade Award for Dance, the Janet Collins Fellowship, the Global Dance Initiative and more. Corporations and leading businesses always upgrade their technology and computer operating systems, but when was the last time they updated interpersonal and developmental understanding of the people that run the incredibly expensive technology they have purchased? How they embrace change will determine the overall value of the company and it’s impact on their clients. MT LifeWork is a custom professional and personal Life Coaching experience for business executives or those personalities charged with leading. MT LifeWork is a full spectrum suite of self improvement tools and strategies for those executives. The resource uses the Emotional Development and Personality Development process created by Jefferson Award for Public Service to America, and New York State Senate Liberty Award winner Sean McLeod. Mr. McLeod is a multi award winning, International Producer, Mediation Specialist, and founder of Reaching for Higher Ground Consulting and the New York Institute of Dance & Education. MT LifeWork is a custom fit life change program based on your personal needs and requests. Executive Life Coaching sessions are designed and could include: Executive Life Coaching, Family Mediation, Motivation, Emotional Development, and Personality Development. You could also be able to explore our Life Workout products that include: Physique Sculpting, Body Health; Career Forecasting and Outcome Based Strategies, everything you need to be successful in your life. MT Life Workout products are for every executive, whether you’re looking for a basic healthier lifestyle, have family struggles, or simply want an emotional & physical reset personally. If you are accepted as an MT LifeWork client, nothing will be the same. If you're willing to be open and apply, you will gain an improved emotional construction that could give even the most depressed personality their life back. Outcome=Income. MT LifeWork sessions can be setup as Non-Disclosure Executive Life Coaching or At Large Executive Life Coaching. Even leadership needs a coach. Executive Life Coaching is a custom professional and personal experience for business executives or those personalities charged with leading. It is a full spectrum suite of self improvement tools and strategies for those executives. Executive Life Coaching sessions are designed and could include: Executive Life Coaching, Family Mediation, Motivation, Emotional Development, and Personality Development. Executive Life Coaching changes the way business can be done no matter what field. This experience will help address their most pressing business and industry issues, to on purpose learn, share, and create solution. Executives will gain important strategic and tactical business decision tools that affect both the short-term and long-term success of their organizations, and have fun doing it! Our FrontLine Development welcomes people from all levels and roles in an organization to discuss, share, learn and resolve the issues that directly affect their ability to achieve success in their daily work and long-term goals.We come together to get new tools for interaction and personal success which is ground floor important and the most important ingredient to any companies growth. It’s people. Wrapped in comedy and methods of successful habit, the building blocks for working with co-workers, upper management, and clients will be in the room for the taking! You’ve never learned with so much fun in your life! MT LifeWorkout is a unique physical enhancement program based on Sean McLeod's heralded, Training for Athletes (TFA). TFA empowers people by developing their movement abilities to their highest possible level over time. By using movement studies that include Martial Arts, Dance, Core Strength Training, and Mastery of Rhythm, executives will learn Emotional Control and Life Strategy. Gaining understanding and empathy from physical and emotional lessons, executives will acquire a dynamic decision making skill-set. The process includes, physique sculpting, body health, family connection, and a simple life reset.